With a high speed 1.2 GHZ Qualcomm Snapdragon 400 processor, the Nokia Lumia 635 operates at lighting speeds for enhanced user experience while still being offered at an afordable prices. 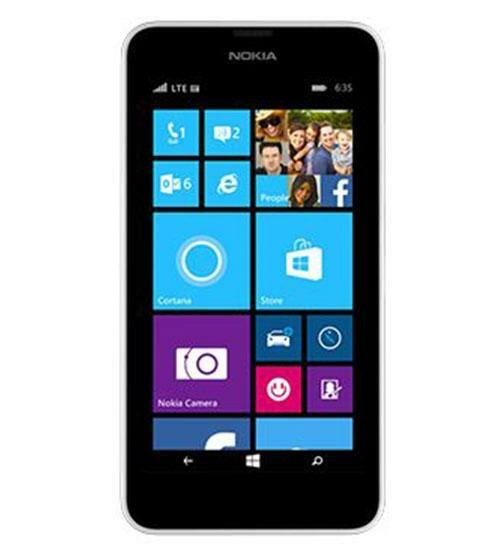 Featuring a 4.5 inch LCD display where the colors really stand out, the Nokia Lumia 635 has a clean design with the simple Windows 8.1 operating system that makes navigating the phone a breeze for users of any age or smartphone experience. The Lumia also features removable back covers that come in a variety of colors for ultimate customization. Complete with Bluetooth, Wi-Fi, GPS, and a slew of other useful features, the Nokia Lumia 635 can perform up to par with any phone on the market today. Nokia Lumia 930 vs. Lumia 635 - What's the difference? Cam compares two sought-after Lumia devices to see what the differences are and to try and answer the question: Is it worth saving the cash and going for the mid-range Lumia, or better to go all-in on the 930? The Nokia Lumia 635 Review is in! What does this $130 Windows Phone 8.1 device pack? Cam unboxes the budget-friendly Windows Phone 8.1 device by Nokia.